Before becoming a social media expert, Dan Gingiss decided to join a friend in taking the GMAT. On standardized tests he typically does better on the math side and struggles on the verbal side. But during the test Dan got stumped on a question that caused him to not complete the math portion of the exam. That left him with only one choice. Dan Gingiss was born and raised in the suburbs of Chicago, meaning he had to declare at birth whether he was going to root for the Cubs or the White Sox (Cubs all the way!). His parents are happily retired; his older brother spent decades as a newspaper reporter and now works for a Senator; and his younger sister is a PR executive. Dan’s parents always pushed him to be successful but in a fair and nurturing way – “A’s, B’s, and C’s are your problem; D’s and F’s are our problem” was a favorite refrain of Dan’s dad. And he was also constantly encouraged to try new things, be it different types of international cuisine or school subjects meant only to broaden one’s thinking (like art history and music). This created an open-mindedness in Dan that has served him well in his career, as he is often referred to as an “idea man” and always enjoys considering new ideas from others. After graduating from the University of Pennsylvania with a degree in Psychology and Communications, Dan naturally turned to marketing (Really, it was anything but natural. He had no idea what he wanted to do, but in hindsight, marketing is the perfect combination of psychology and communications). He worked as a product manager at The Danbury Mint, a direct-to-consumer collectibles company. His focus was on sports and automotive collectibles, and he quickly learned the ins and outs of direct mail, newspapers, and magazines. He decided to apply to business school (more on that later) and at the Kellogg School of Management, he took his first marketing class and finally learned that what he had been doing for four years had names, frameworks, and structure behind it. Post-Kellogg he spent some time at a B2B financial services company, then nearly 10 years at Discover Card – where he played a key role in them winning their first-ever J.D. Power Award for Customer Satisfaction, one of Dan’s proudest achievements. After stints at Humana and McDonald’s, Dan decided once again to try something new and joined a marketing technology startup called Persado. 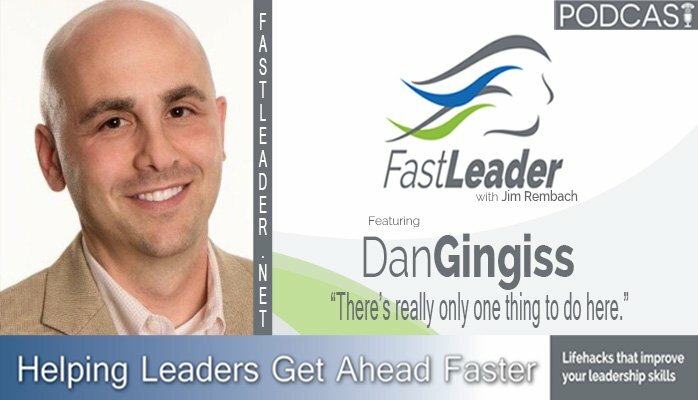 In Dan’s “spare time,” he has taken his love for customer experience to the stage in keynote speeches, to the airwaves with his Experience This! Podcast, and to the bookshelves with his book, Winning at Social Customer Care: How Top Brands Create Engaging Experiences on Social Media. Dan still lives in Chicago with his two kids and one cat, and is hoping for another Cubs World Series Championship soon! Lead people to open your career opportunities. Having the leadership to lead leaders. A sense of humor and a laid-back attitude.